There is something about jewelry, it makes any sane person drawn to it, making the individual covet it, dream about it, lose sleep over it, and, more often than not, go crazy over it. But have you ever wondered what the most expensive jewelry in the world is? What is it that makes a particular piece of jewelry so valuable? That being said, the diamond trade is still very alive and as long as people have a penchant for the ridiculously expensive it always will be. 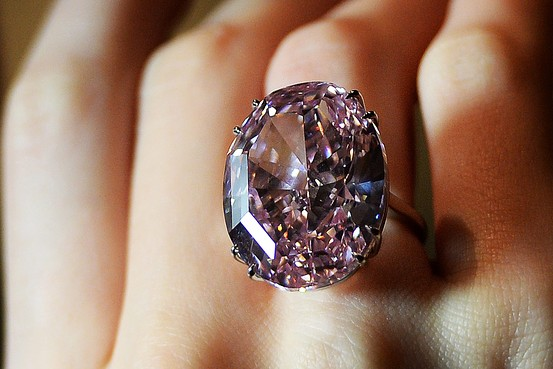 These are the 10 most expensive pieces of jewelry in the world. This stunning emerald and diamond tiara, whose equally previous owner is Princess Katharina Henckel von Donnersmarck, features 11 very rare Colombian emerald pear-shaped drops weighing around 500 carats. The tiara is said to be part of the personal collection of Empress Eugenie. The tiara was commissioned in 1900 by Guido Count von Henckel for his second wife. It was sold for $2 million more than its estimated price at $12.7 million during the Sotheby’s Magnificent and Noble Jewels sale. Steal one quick glance at the BVLGARI Blue Diamond Ring, and you’ll see it’s no ordinary diamond ring. Breaking conventions with its daring two-stone arrangement, made up of one triangular, 10.95 carat Fancy Vivid blue diamond, and another triangular 9.85 carat colorless diamond, the ring is valued at $15.7 million dollars. Designed by BVLGARI in the 1970s, it features one of the largest Fancy Vivid diamonds to be sold at an auction, a type of blue diamond that is rare enough given its size. 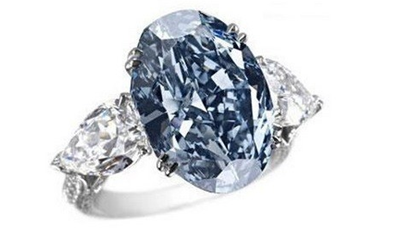 Featuring a trademark light blue color, the Chopard Blue Diamond Ring is one of the most expensive in the world at $16.26 million. 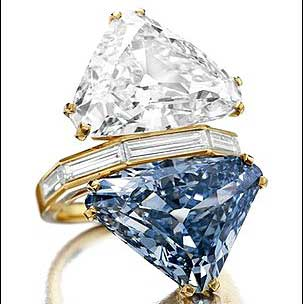 The oval-shaped blue diamond is surrounded by white diamonds and set on an 18-carat white gold band. If you do the math, this ring comes out to roughly $1.7 million per carat. 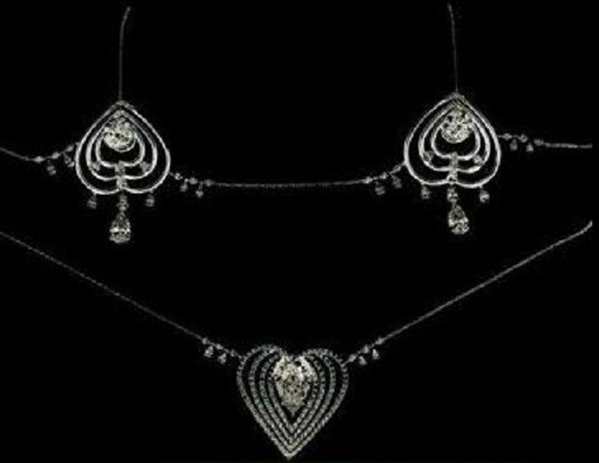 This necklace is arguably one of the most recognizable pieces of expensive jewelry as it is the exact imitation of the necklace used in the movie Titanic. Who can forget the scene when it was the only thing worn by the character Rose for a still drawing session? “I want you to draw me wearing this, only this,” goes her famous line. 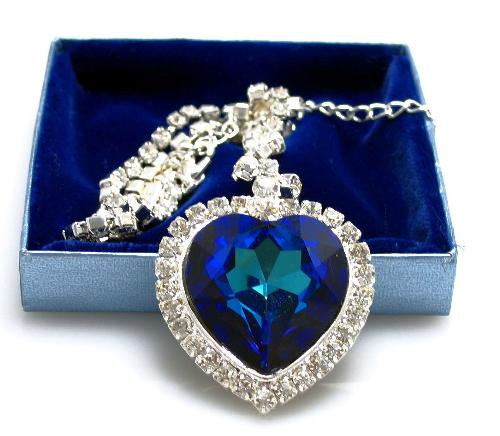 The Heart of the Ocean Diamond necklace was created by jeweler Harry Winston and features a 15-carat blue diamond. It was the most expensive piece to be ever be worn at the Academy Awards in 1998 by actress Gloria Stuart, who played the elderly Rose in Titanic. 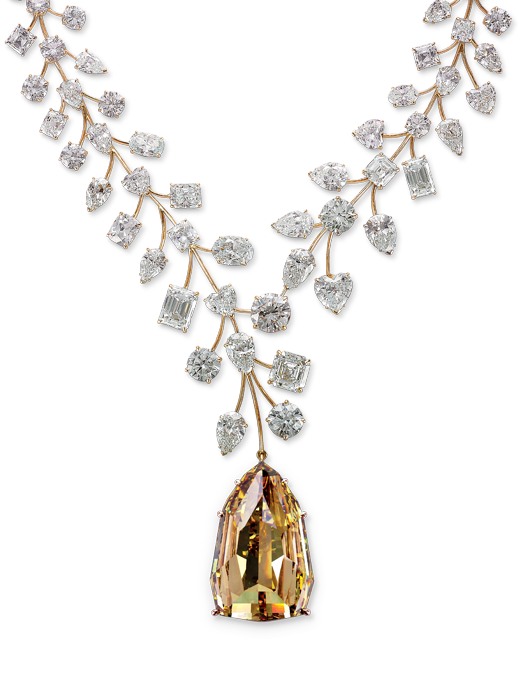 In fact, even replicas of this necklace sell for $3.5 million at auctions. In 2006, super model Molly Sims wore a diamond bikini in a Sports Illustrated Swimsuit Issue. This was claimed to be the most expensive bikini in the world. 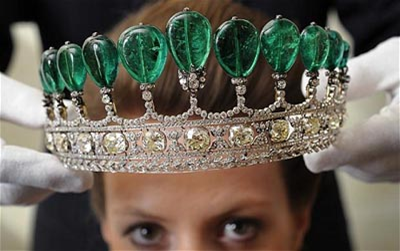 The fact is, it is also one of the most expensive jewelry pieces to date, with a price tag of $30 million. The bikini has over 150-carat diamonds all set in platinum. It was designed by Susan Rosen and Steinmetz Diamonds. Said to be the most expensive piece of jewelry in the world, it was sold for a staggering price of $46 million in November 2010. 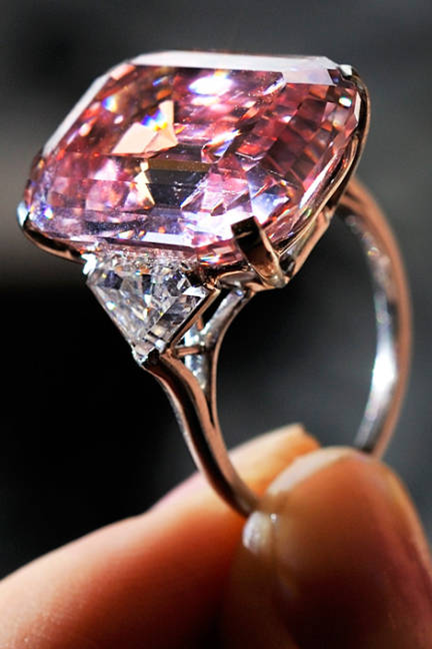 Famously known as “The Graff Pink”, it is classified as a type II color diamond and has a perfect rating which gives it a price of about $1.85 million per carat. The L’Incomparable Diamond Necklace with the L’Incomparable name is the world’s most expensive necklace, valued at $55 million bucks. Designed by multinational jewelry company Mouawad, it’s a 637 carat diamond necklace with a 407 carat yellow diamond as the heavy looking centerpiece. The story behind this diamond is interesting too. It was actually discovered decades ago by a young girl in the remnants of a diamond mine, a giant 890 carat diamond that was eventually crafted into the centerpiece for the L’Incomparable necklace. 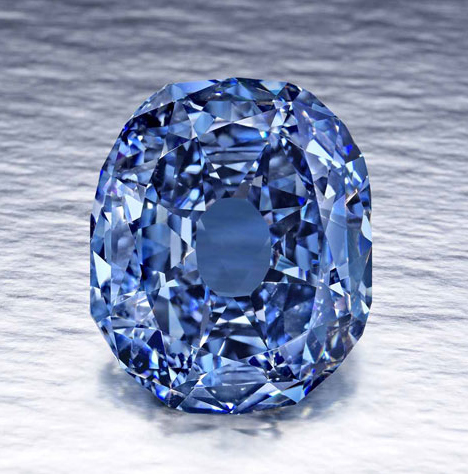 The original Wittelsbach Diamond, also known as Der Blaue Wittelsbacher, was a 35.56-carat (7.112 g) fancy, deep, grayish-blue diamond with VS2 clarity that had been part of both the Austrian and the Bavarian Crown jewels. In June 2011, Graff apparently sold the diamond to the emir of Qatar, Sheikh Hamad bin Chalifa, for at least US$80 million. It might surprise you to discover that the world’s most expensive piece of jewelry is not a huge, cascading waterfall of diamonds or even a huge, showy bracelet. In fact, it’s a simple, pink diamond ring. The softly plum-colored diamond is one of the most demanded colors of diamond, and weighs in at 59.60 carats. The ring is valued at a staggering $83.2 million dollars. 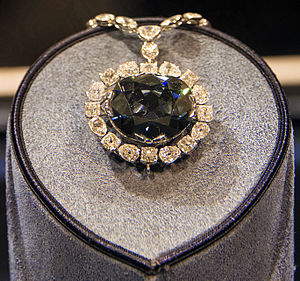 The Hope Diamond, also known as “Le Bijou du Roi” (“the King’s Jewel”), “Le bleu de France” (“the Blue of France”), and the Tavernier Blue, is a large, 45.52-carat (9.104 g), deep-blue diamond, and now housed in the Smithsonian Natural History Museum in Washington, D.C. The Hope Diamond glows red after being exposed to UV light, fueling its cursed reputation. Hope diamond’s successive owners died in the following ways: smallpox, execution, and driving off a cliff. Another owner lost his kingdom, yet another lost both his children to an accident and an overdose.